Set apart from Paris’ literary sophistication, artistic air and stunning fine-dining establishments, there is a more mysterious, reclusive scene, which buzzes under the foundations of the city. The Paris catacombs beguile and hypnotise the imaginations of all who hear about them, as those left outside can only imagine what lies beneath. We explore the history of Paris’ best-kept secret and take a tour of its endless underground corridors. There is a certain romantic hue to the damp stone walls lining the corridors in Paris’ underground network of tunnels and hollowed-out shelters. It’s a far cry from the Eiffel Tower, and it in no way rivals the luminosity of the Sacre Coeur or the grandeur of the Arc de Triomphe, but it represents Paris in a way that few other historical monuments in the city can. The number of people that touch those walls and have trodden those tunnels is incredibly limited, and yet the history of Paris is intrinsically linked to these claustrophobic and dark, enclosed spaces. Underneath southern Paris there are more than 200 km of these tunnels which all interlink, despite numerous collapses and manmade blockades. Two major networks interlink, providing a veritable maze for daring explorers stretching from Montparnasse to Porte d’Orléans and beyond. A select group of (primarily) young urban explorers make regular trips below street level, gaining access via a number of manhole covers which are surveyed and tracked by the community of self-professed ‘cataphiles’, enabling all those across the city who wish to go down to be up-to-date on the available entry points. The problem is that the police also survey them, almost as closely. They scrutinise from above and below ground the manhole covers which are opened by official and non-official means and once this information is confirmed, the entrance is sealed. 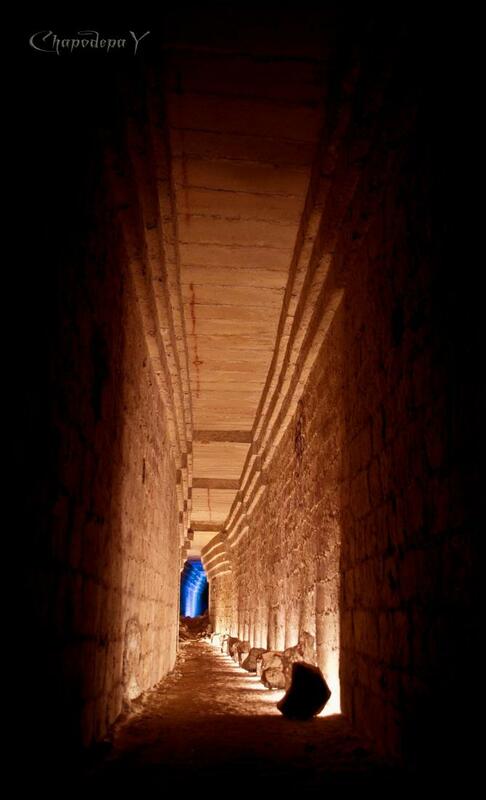 The practice of going down into the catacombs is therefore one relatively fraught with risks. The possibility of attempting to come back to the surface and being confronted by a sealed and therefore inaccessible trapdoor back to the road above is a real one, and therefore demands of the cataphile an extensive knowledge of the hundreds of kilometres of networks and the different access points. The likelihood of parts of the stone walls and reinforcements coming crashing down on innocent visitors is minute, but not nonexistent. It’s reassuring that the only known case of a death down in the catacombs dates back to 1793, and the case of Philibert Aspairt. He wasn’t a curious tourist or dedicated cataphile, but a gatekeeper who caught wind of a rumour that there was a secret stash of liquor under a convent and so set out with only a candle on him to find it. He was found eleven years later a few steps from the exit with a bottle of the said liquor in his hand. To this day, cataphiles revere Philibert as the guardian, the resident ghostly presence of the cataphiles, and the example not to follow. A torch, and a back-up torch are prerequisites. Why take the risk, then? The reasons are as varied as the occupations, names and facial features of those that venture down the rusty metal ladders which lead to the catacombs. The quiet, temperate (though somewhat damp) ambiance and the isolation offer a cool respite from the hubbub of the city above. 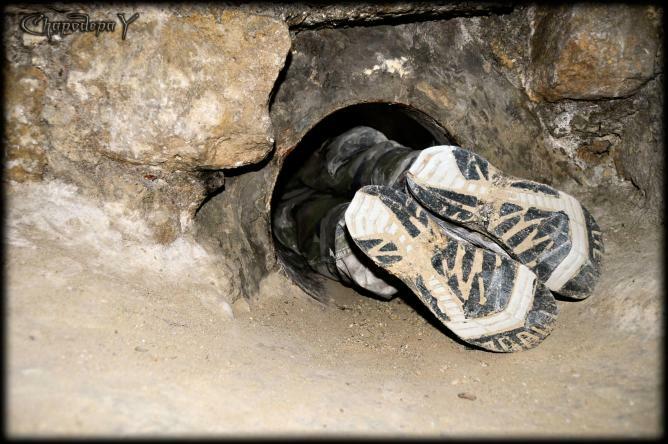 Despite the dedicated police force patrolling the catacombs to prevent any illegal access and fining intruders on-the-spot, there is a distinct lack of authority and control once underground (it’s rumoured that this dedicated police force numbers fewer than five full-time officers for more than 200 km of tunnels). The sense of community felt amongst cataphiles is the biggest self-policing method and the only one necessary to prevent severe degradation of the stonework and the desecration of the more historical features such as a Second World War German bunker or the tomb of Philibert. Recent spates of vandalism are all the more shocking given the exclusivity of gaining access and this self-control, which is unspoken and yet universal amongst cataphiles. This leads some to believe that knowledge of the network and the spread of information is getting out of control and allowing anyone to penetrate the catacombs and destroy the work of artists, stoneworkers and explorers. The most common question those who hear that someone they know is a cataphile is ‘have you ever stolen any bones?’ Indeed, the official tourist destination, Les Catacombes de Paris, contains thousands of skeletons and bones from past Parisians, Meanwhile, an unofficial catacomb visit will uncover almost no bones and a distinct lack of human remains. 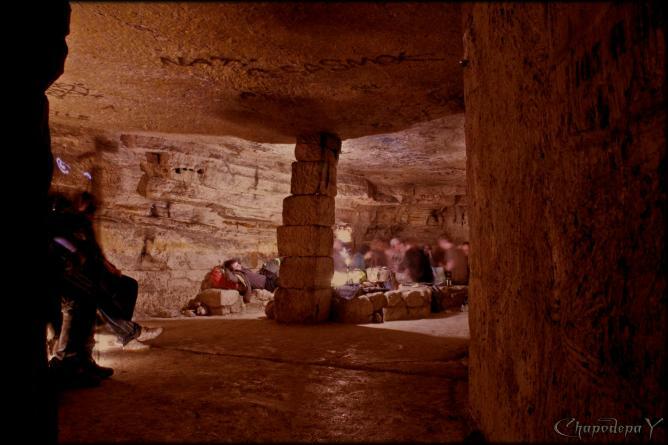 The catacombs are in fact the quarries from which a large proportion of the limestone for Paris’s Hausmannian buildings was extracted hundreds of years ago. 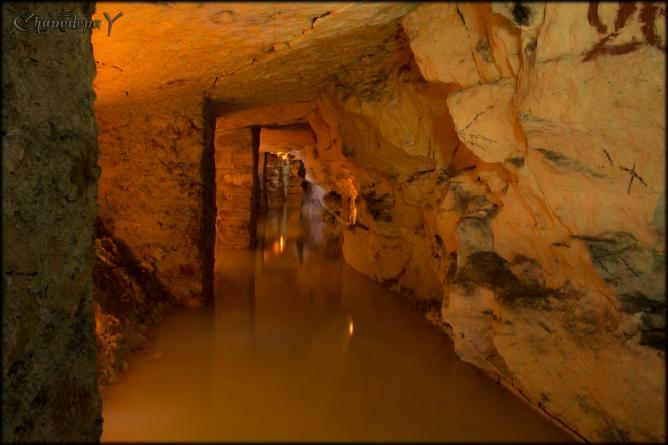 When the quarrying ceased, some of the tunnels were used for growing the popular Paris mushrooms, as they thrived in the damp, dark conditions. Such activity has completely ceased in recent years and now the city’s mushrooms still bear the prestigious name but are grown in the provincial areas to the north of Paris. 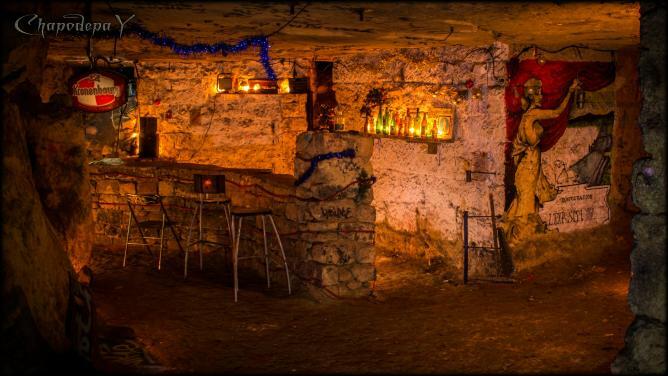 Now, the catacombs play host to cinema screenings, parties, concerts, dinner parties and all manner of gatherings. Extensive work is constantly undertaken by various groups to create playful and artistic spaces with no planning permission necessary and only the limit of space and time to restrain them. 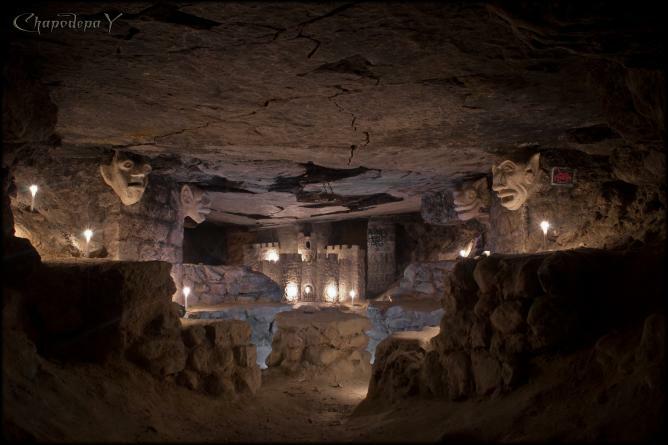 Scale models of castles, carved gargoyles, murals, mosaics, sculptures and fountains have been created and feature heavily on first-time visits down in the catacombs. It’s easy enough to know someone that knows someone that vaguely knows someone that can find their way round the labyrinthine system and is willing to take them on a guided visit around the unknown and unexpected. It’s not for the fainthearted though. Thigh-high waterlogged passages, tunnels the width of a slim child and uneven ground can delight some and scare off many. The tourist trend is one that’s more and more common and brings new dangers. Alcohol abuse, accidents, social pressure and undue delegation of responsibility to perhaps less than experienced friends are all greater risks, in reality, than rubble crashing down, but ones which are regularly taken. Being unprepared for the conditions is another common mistake, meaning a lack of light, water and warm clothes can put those of a weaker disposition or stamina in danger of, at best, being put off a return visit or, at worse, engendering injury or moments of intense fear. 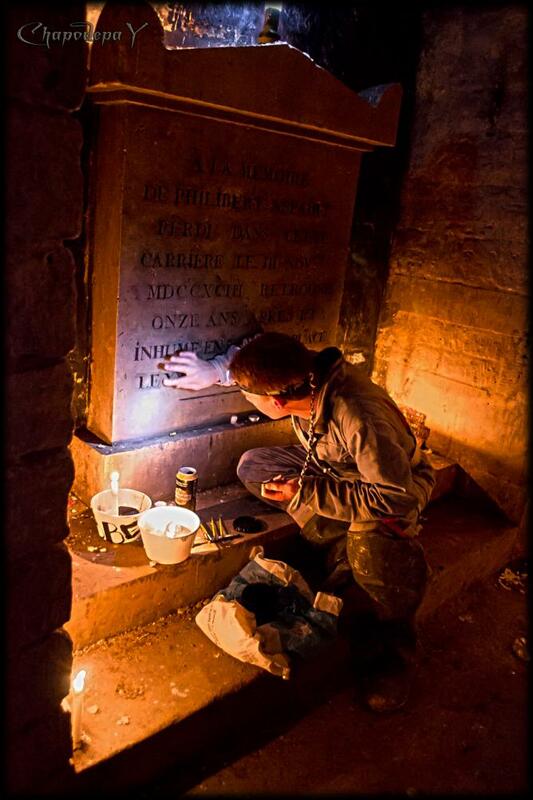 Getting to grips with the secret life of the Paris catacombs can entail years of exploration and experimentation, and even the hardiest veteran cataphiles acknowledge that they’ve only scratched the surface of the full potential of Paris’ underground system. There are an almost equally substantial number of suburban quarries, tunnel networks and urban exploration sites which stretch beyond the boundaries of the city, and mean that it would be possible to spend a lifetime wandering the unnamed and unmanned underground streets of the region without so much as scratching the surface. For those who would prefer to avoid the claustrophobic atmosphere of the dark catacombs, Paris’ abandoned railroad system is another great way to explore the lesser known aspect of the French capital.